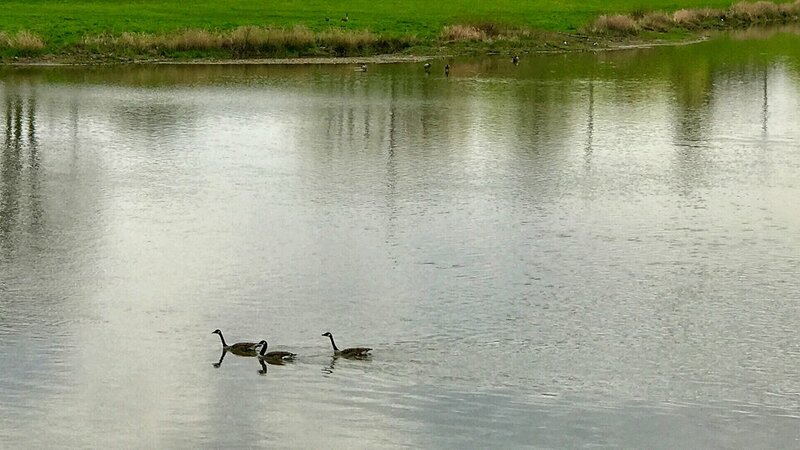 There is something special about the way geese fly and swim ... it’s the ‘formations’ that captivates me. I have so many video clips of geese flying. Some may think I’m a little crazy. Every once and a while you will see one or even a few of them start to get off course, and they will make a correction. Their flight seems so intentional and purposeful. These three geese seemed to have their own destination - they are on the way to someplace. By the way, although they are noisy, and often make a mess (they leave a trail wherever they go), they are graceful.